Do you know the way to San Jose? Well, Josh Koscheck certainly does because he trains in the city. However, it appears Kos knows his way to the UFC’s middleweight division, as well. On Thursday afternoon, Koscheck was asked by his clothing sponsor, Dethrone Royalty, who he was interested in making his comeback fight against. While most assumed he was eyeballing the Octagon’s debut in San Jose this coming winter, the controversial wrestler also decided to drop the 185-pound bomb on the Twitter universe. “I did ask for my next fight to be nov 19 in san jose at 185 🙂 ” Koscheck tweeted. 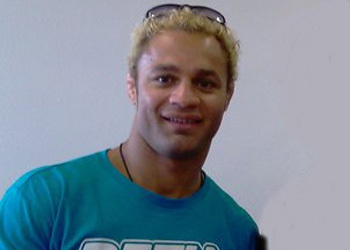 Koscheck holds a 15-5 professional record, with only his first two scraps coming outside of the UFC’s banner. After starting his UFC career with a victory over Chris Sanford in the middleweight division, he immediately dropped to the 170-pound weight class and has remained there ever since. Kos hasn’t been seen since GSP did THIS to his right eye last December. The 33-year-old had successful surgery to repair his broken orbital bone shortly after. UFC 138 is expected to feature a heavyweight title tilt between Junior dos Santos and Kos’ American Kickboxing Academy teammate and reigning champion, Cain Velasequz. The HP Pavilion in San Jose will likely host the November 19th extravaganza.